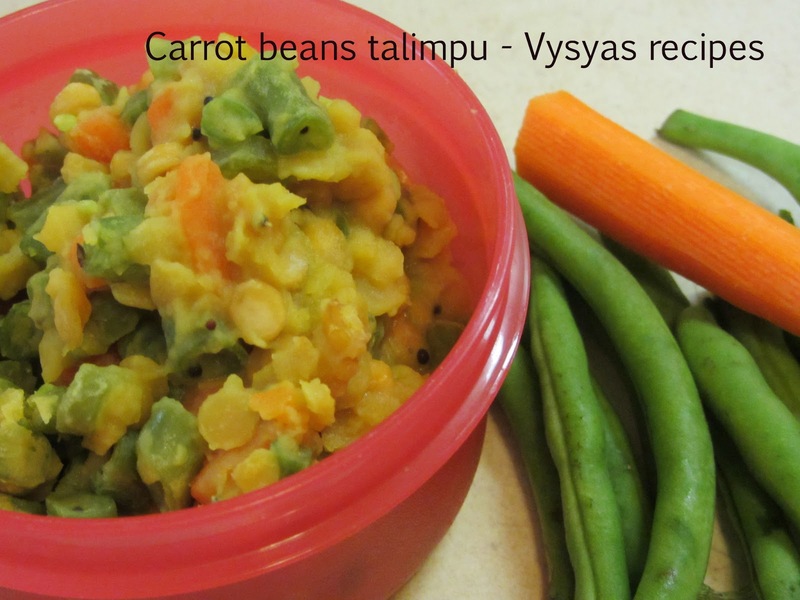 Carrot beans curry (carrot beans palya) is prepared with toor dal.It goes very well with plain rice and roti.Toor dal contains folic acid, an important vitamin for all women, especially those planning to become pregnant. Legumes such as toor dal are a healthy source of dietary fiber.Eating beans regularly may decrease the risk of diabetes, heart disease, colorectal cancer, and helps with weight management. Beans are hearty, helping you feel full so you will tend to eat less.Carrots are rich in vitamin A, Vitamin C, Vitamin K, and potassium. carrot - 2 (medium size). toor dal - 3 tbsp. split urad dal - 1/2 tsp. chana dal - 1/2 tsp. pressure cook the toor dal with little turmeric. Heat the oil, add mustard when it splutters, add chana dal, split urad,curry leaves,red chillies. saute till dal's turns golden brown. Now add cooked toor dal,3 tbsp of water and salt. when water starts boiling add cooked carrots and beans, mix well, till everything combines well, and it becomes thick as shown in the picture. Then remove it from the flame. 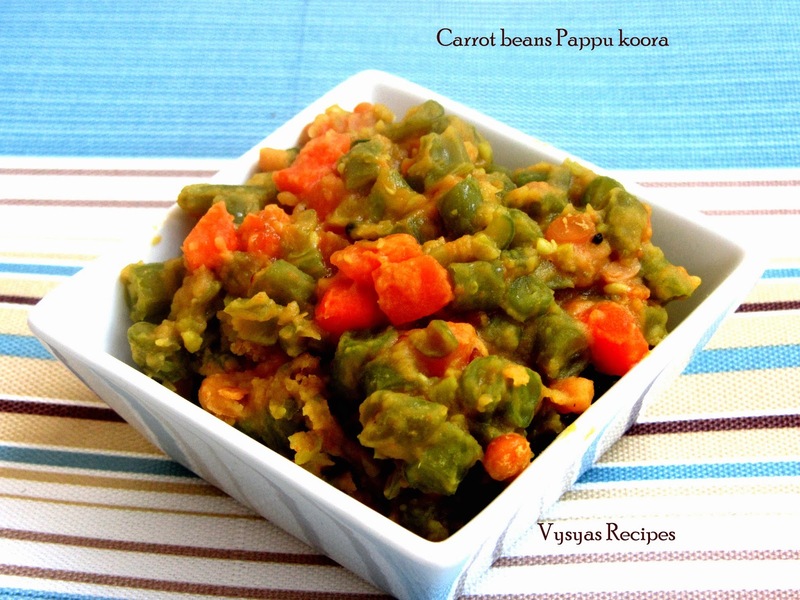 It goes very well with plain rice,roti, sambar and rasam varieties. Wow!. This is a truly delicious recipe I saw on the internet. Actually, I always surf in the internet and I'm looking for healthy Stir Fry Sauce recipe. I think the recipe given in your blog is easy to prepare and the ingredients are affordable. I will try this one for our dinner tomorrow. Thank you for sharing this one.